As you probably know by now, Facebook has integrated Skype into the Facebook chat platform so that you can now video chat (or video call) your friends. Sorry Opera users, Facebook / Skype video calling is not supported (yet anyways…). Here’s how to set up Facebook / Skype video calling and video chat in three easy steps, plus one additional step that I’ve added which I think makes it easier. You will be asked to complete the setup the first time you try to call a friend, or the first time a friend tries to call you. To call a friend, click the video icon at the top of your chat window. Simply click the “Set Up” button and follow the instructions for how to set up video calling on your browser. Once you’ve successfully completed the setup, the call you’ve started with your friend should connect automatically. If it doesn’t, you can call again by clicking the video icon at the top of your chat window. And that’s it… everything else seems pretty seemless and easy to use. 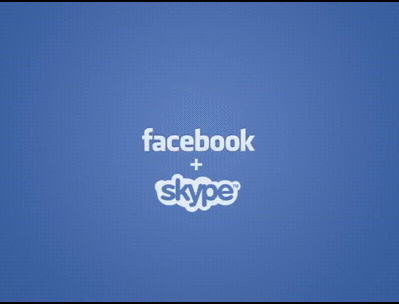 Let us know in the comments below about your experience with the new Facebook video calling with Facebook and Skype. not working for me… it says video calling available soon…. i cant access to video calling . .